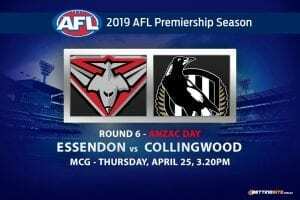 Collingwood Magpies: 11th, 90.3% – is Collingwood a good premiership bet? 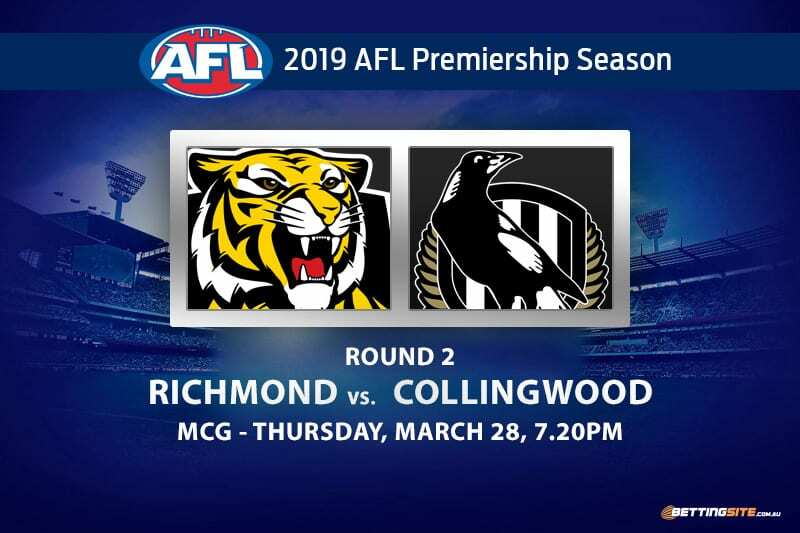 Two of the biggest franchises in AFL history will clash at the mighty MCG when the Richmond Tigers host the Collingwood Magpies on Thursday night. Although Damien Hardwick’s Tigers won their opening round match against Carlton, they suffered the most devastating loss of the round. One of the greatest full-backs ever to play the game, Alex Rance, suffered a tear to his ACL and will sit out the rest of 2019. The loss of Rance cannot be underestimated — his elite play over the last two years had been a key component to Richmond’s rise. Collingwood lost its first game of the season after playing poorly against the Cats. Even though the Pies lost, there was glimpses of the brilliance most pundits are expecting to see this season. 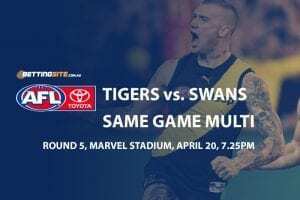 Will the form of the Tigers outweigh the loss of Rance, or will the exclusion be too tough to handle? 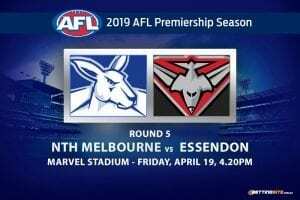 Can Collingwood emulate its Preliminary Final performance from six months ago, or will its poor form continue for another week? Here are our predictions for this week’s match-of-the-round. 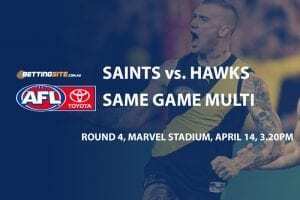 Tom Lynch to kick over 2 goals: – am I able to get a bookie bonus bet? It was clear in the season opener that Lynch will be high on the league’s goal-kicking chart in 2019. Lynch, despite not running at 100% fitness, is a strong overhead mark and a beautiful shot at goal. Lynch is likely to attract the in-form Darcy Moore or heavily-built Jordan Roughead as a defender, but should get more than enough supply to kick more than two goals. The 2018 Rising Star did not play well in round 1, failing to kick a major. With Jamie Elliot and Jordan de Goey likely to attract Richmond’s best small defenders, Stephenson will get an opportunity to sneak under the guard and hit the scoreboard. 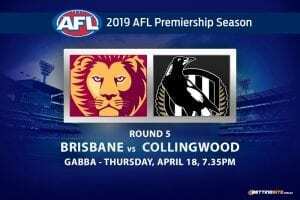 Tom Lynch, Jack Riewoldt and the plethora of roving smalls will certainly put the goals on the board this Thursday, but whether they will exceed 90 is up for debate. The Collingwood backline has settled nicely with Darcy Moore and Jordan Roughead as key positions, while Tom Langdon, Jack Crisp and Jeremy Howe can manage the smaller options. It will be up to the Tigers’ midfield to overcome the Collingwood engine room and deliver an adequate supply. David Astbury and Dylan Grimes will be having nightmares throughout the week just thinking of the Magpies forward-line. Mason Cox, Jordan de Goey, Jamie Elliott, Jaidyn Stephenson, Josh Thomas and Brodie Mihocek are possibly the most dangerous forward six to play for the Pies in decades. These boys will almost certainly look to punish the Rance-less Tigers this Thursday night. One team is in poor form and looks underdone, while the other just lost its best player for the season. 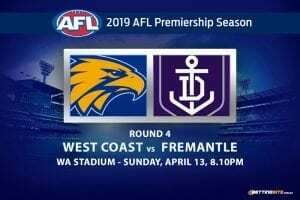 Our tip is a close one and a departure from the unexpected blow out we saw in last year’s preliminary final. It is clear that both teams are very talented and will provide a tough contest, which gives the inclination that it will be decided by less than a couple of goals. Form can always be regained, especially when your list is a stacked as the Magpies. Richmond will fail to quell the forward bombardment without Rance and will suffer a loss to boot.